Nothing says summer more than soaking up the sun out on the water. Avoid the crowded waterways and relax a little with a fishing expedition at Silver Lake Park. Looking for a little more action? Test your skills with kayaks and paddleboards from Penguin Paddling in Historic Occoquan, a small town with beautiful water views and beautiful architecture. Be sure to take your phone for this Instagram-worthy town! Prince William, VA is home to some amazing breweries, including Water&apos;s End Brewery. Check out our craft beer scene and plan your brew tour through the area. Looking for more than craft beer? The Winery at La Grange has some delicious sangria that is perfect for summer sipping. Spirit tasters can now enjoy a wider variety during their tasting when visiting distilleries. Visitors can now also enjoy the distilled spirits in carefully crafted mixed drinks, like the ones pictured to the right from KO Distilling. This is great news for the two distilleries in our area: MurLarkey Distilled Spirits and KO Distilling. Visit to enjoy craft spirits and delicious mixed drinks that scream summertime. Experience the sounds of summer with live music throughout Prince William. Pack a picnic and enjoy “Music on the Mill” summer concerts at River Mill Park in Occoquan. Other outdoor live music venues include Leesylvania State Park&apos;s Music at the Marina, Farm Brew Live&apos;s Music at the Yard and Stonebridge at Potomac Town Center&apos;s summer concert series. Get a different perspective on history by seeing the world through the eyes of the Marines at the National Museum of the Marine Corps. Every exhibit at this modern museum is made to be as authentic as possible. The figures featured in the exhibits are even cast molded from real Marines. Be sure to explore the beauty of our state and local parks during your stay as well! Leesylvania State Park is frequently noted as a place to discover beautiful, hidden views and Locust Shade Park has a marina that offers paddle boats for a fun family outing or a romantic sunset experience. One of the best reasons to visit Prince William, VA is to discover the history of the area. 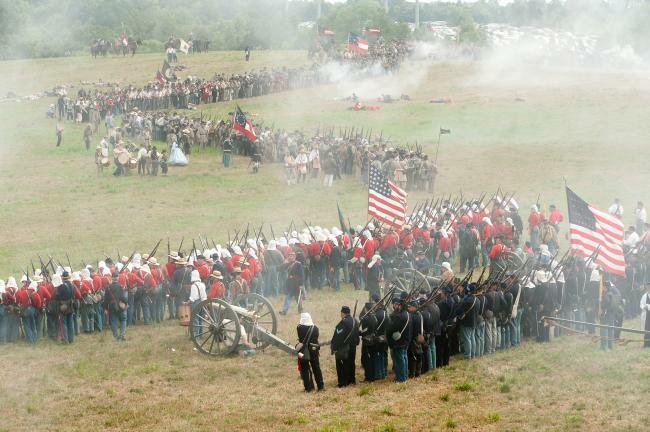 The weekend of August 24, 2018, Manassas National Battlefield Park will be commemorating the 156th anniversary of the Second Battle of Manassas (Bull Run). This battle was a decisive victory for the Confederate army, as Lee had managed a strategic offensive against the Union army twice the size of his own. Living history demonstrations will be offered on the weekend of August 25-26. Visit the Brawner Farm, Tour Stop 1 for portrayals of camp life, drill, and historic weapons firing.